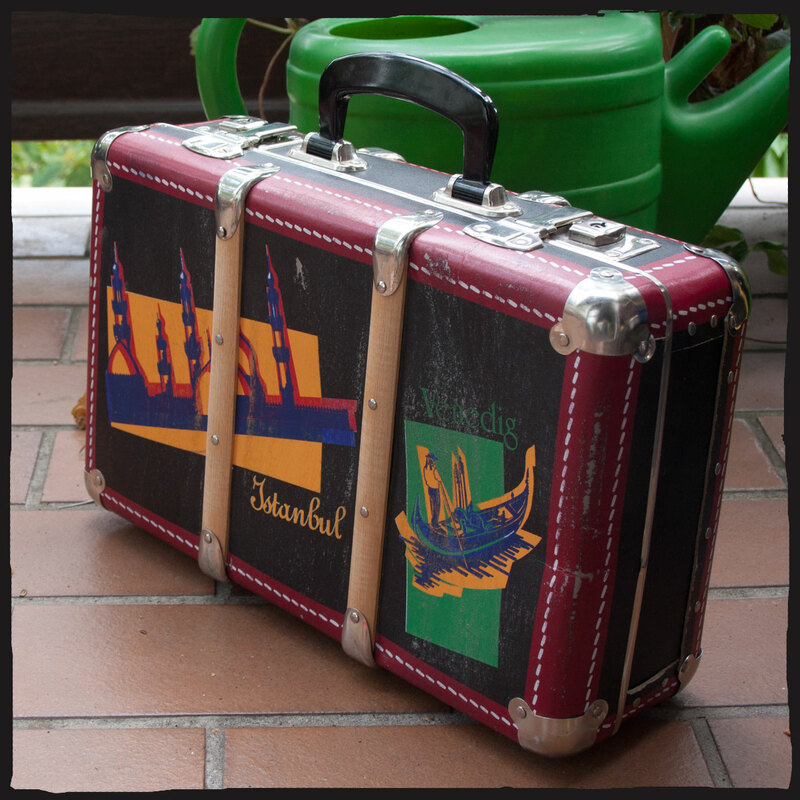 Travel in style – Customize your luggage! I travel a lot. Like, a lot. As in: On a plane almost every week. Most of the time I try and travel light, as checking in a bag when you fly often means waiting ages after you’ve landed to get your suitcase back, and anyone who’s had their luggage lost on a trip to a foreign country with literally everything in it will know how stressful it is not knowing if you’ll ever get your things back. A few things I have learned over the years are: If you can, travel with carry on luggage only. If you need to check in a bag, make sure you have at least one change of clothes, your toothbrush and any toiletries which you might need to get you through one or two days without your luggage in your carry-on luggage. The other thing I have learned is: Suitcases all look the same, and for most of them unfortunately that means they look quite boring. Customising your luggage is a fun and cheap way to make your bag look cool, and make sure you never confuse it with that other suitcase on the luggage belt that looked just the same, because it will be unique. 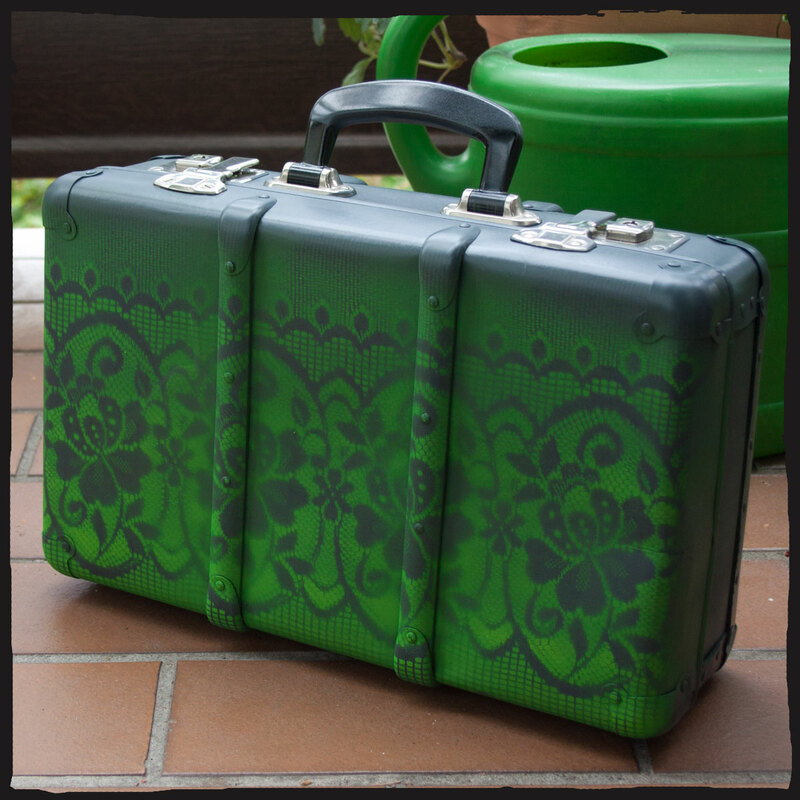 If your suitcase is made of plastic, it would be wise to get a spray paint that is made to adhere to plastic, or a primer that will make your regular spray paint stick. My suitcase is made of a strong cardboard-like fiber, so I bought univeral spray paint in two different colours: A matte grey for the background and a neon yellow for the highlights. If your suitcase is made of cardboard like mine, or fabric, there isn’t much you need to do before you can start. It is a good idea to clean the surface you want to paint to make sure the paint will stick properly. I used a damp cloth first to get any bits of dust and dirt off, and then wiped it down with a little bit of alcohol. If your suitcase has a plastic shell, it would be a good idea to lightly sand the surfaces down and clean with alcohol afterwards. Next, cover anything you don’t want to spray with masking tape and/or newspaper. I am lucky enough to have a garden, but I still used newspaper to cover the ground I was working on. Use your base colour to spray on a thin first coat. Hold the spray can about 20cms away from your case and spray evenly. I let the first coat dry for about 15 minutes before doing a second coat. All in all I did 3 coats with the base colour. If you don’t want to add any highlights or patterns, you’re almost done. You can cover the case with a clear top coat which will make the colours last longer, but if you’d like your case to look worn and a bit battered, I recommend skipping this step. 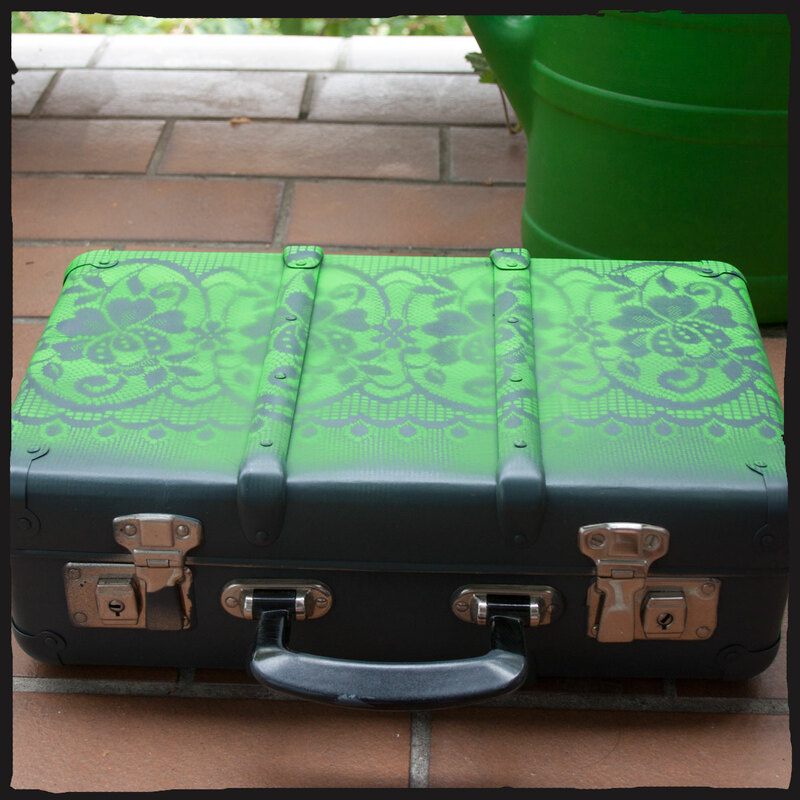 I wanted my suitcase to be a bit more interesting though, and slightly girly. If you are good at painting, you could either paint something on, or use a stencil. You can buy stencils at any craft store, or make your own from a bit of cardboard. I really like the current trend of all things lace and doily, so I used a bit of lace curtain as my stencil. You can get small scraps of lace curtain from any fabric or interior design store for very little money. Cut your lace the size you want the pattern on your case to be and make sure to leave a bit of allowance on the sides. 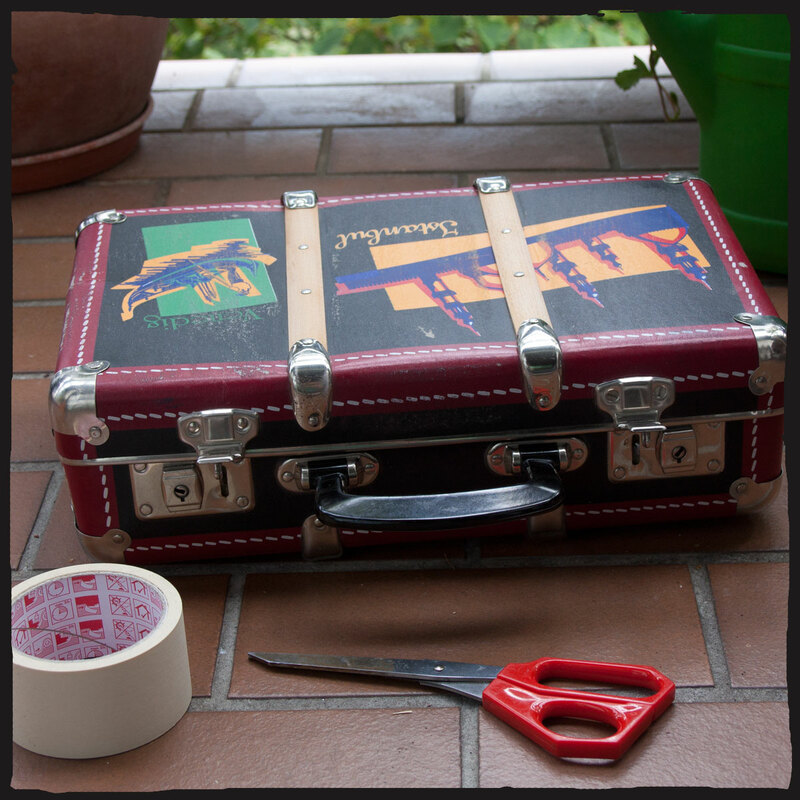 Use the allowance to fix your lace to the suitcase with a little tape to make sure it doesn’t move while you work. I was very shy with the spray paint on the bottom of the case as I wanted it to be delicate and didn’t want to ruin the pattern by heavily layering on the colour, however when I removed the lace it was a bit too faint for my liking. So for the top half I sprayed the pattern on just like I did the base coat, and used about 2 layers at the top and 3 at the bottom of the pattern to give it a bit of a faded look. Make sure to not move your lace during the process, I know it is tempting to just have a quick look, but you will never get the lace back into the same position and that will make your pattern look blurry. Let it dry for a few minutes and then carefully remove the lace without touching the wet lace or pattern. You don’t want the lace to dry on the pattern as it will stick to the surface and smudge the delicate lines. You can see that my pattern is a little bit blurred in places, especially around the wooden decorations, due to the lace not lying entirely flat on the surface. I don’t mind as I quite like how it looks, but if this bothers you, make sure your suitcase has an even surface. 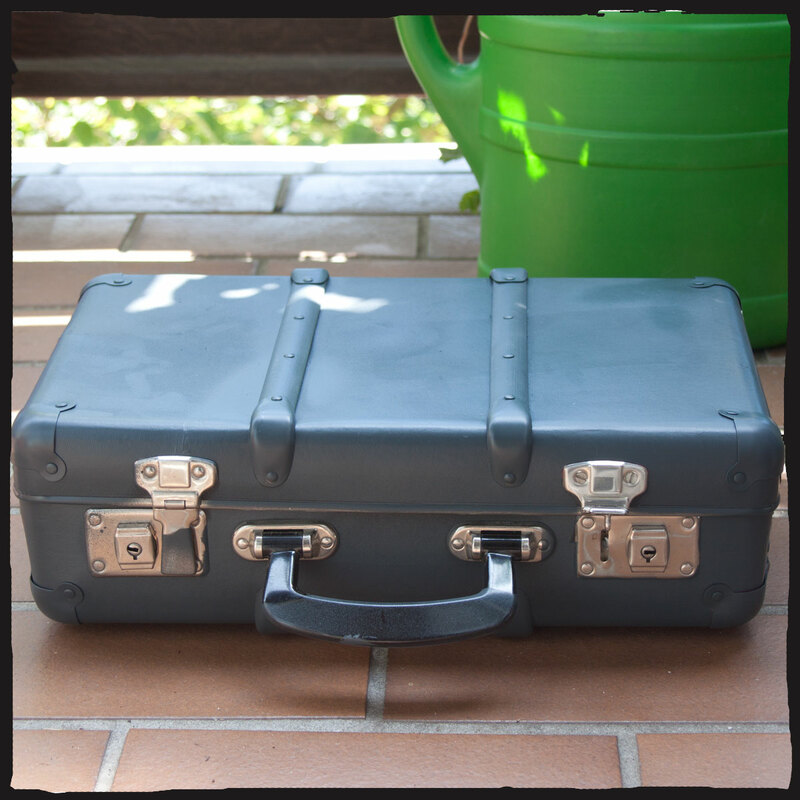 Let your suitcase dry thoroughly (you will find instructions how long your paint needs to dry on the spray can), and either leave it as it is, or spray on some clear top coat to give the colour some extra protection. You’ll never have problems finding your suitcase on the luggage carousel from now on! Totally freakin’ awesome! Nice color choices, an interesting combo of muted and bright at the same time.